Among the many different effects the Downtown Ottawa Transit Tunnel (DOTT) and its construction might have, as published recently in the environmental assessment (which is available for perusal here), is the potential impact it could have on certain wildlife species-at-risk along the proposed route. One of those species-at-risk is the eastern milksnake (Lampropeltis triangulum triangulum). The habitat for milk snake is primarily old field meadows. The fields surrounding the proposed Hurdman Station is the only potential habitat for this species. Restrictive fencing around the construction site will mitigate the amount of old field habitat disturbed and limit access to the construction zone. 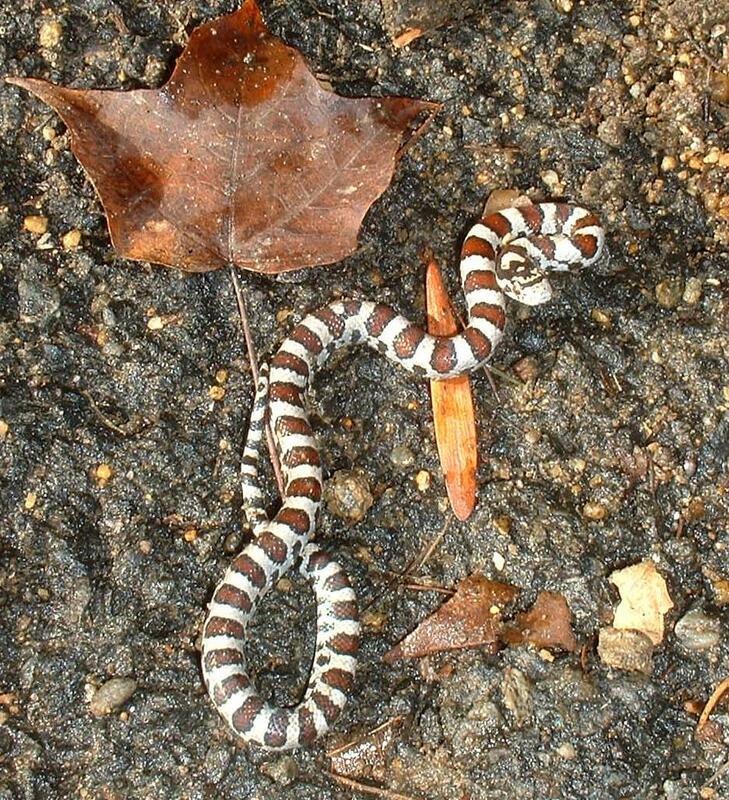 If a milk snake is found during the construction, the Ministry of Natural Resources, Kemptville District should be contacted. The milksnake doesn't appear to have been evaluated by the International Union for the Conservation of Nature and Natural Resources (IUCN), it was designated as a species of special concern by the Committee on the Status of Endangered Wildlife in Canada (COSEWIC) in May 2002 due to "anecdotal information" which indicated its numbers are small, even if its population is widespread. Overall, there seems to be little in the way of reliable data surrounding the milksnake--in Canada in general, and the Ottawa area specifically. It is reportedly prone to roadkill, and that won't likely change with LRT implemented--in fact, it may improve as fewer buses go any farther towards downtown than the station. Still, according to the Opinicon Natural History blog, road traffic is one of the risks facing the population, along with "habitat loss due to urbanization, road building, and habitat modification, land use practices such as forestry and agriculture, persecution (as they are often mistaken for venomous snakes), [and] predation (especially by feral and domestic cats and dogs)". Two other species were also brought up in the EA: The peregrine falcon, which I discussed earlier in the week, and the common snapping turtle, which I will discuss next week.